St Mary's Island Primary School is a popular primary school striving to provide the highest quality education for the children in our care. 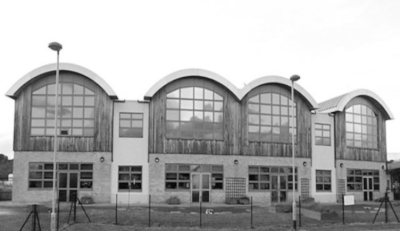 The School is situated at the heart of St Mary's Island, Chatham Maritime and can cater for 420 children aged 4-11. We are proud of our strong Christian ethos and sense of community. We work with the Diocese of Rochester, Medway Local Authority and other organisations so that pupils of the school may benefit. Every child is valued and we develop positive attitudes to learning in all children. We work in a close partnership with parents, acknowledging their role as the co-educators of their children. We expect all children to behave well in and around school, understanding the school's expectations of good manners, honesty, care and self-discipline. Praise is central to our teaching and good behaviour is expected. The children develop an understanding of other people's feelings, values and beliefs. We are committed to meet the pastoral and academic needs of all individuals within our school community. The Governors and Headteacher ensure that the resources and staffing levels meet the diverse needs of all children, both within and beyond the requirements of the National Curriculum. All pupils are offered an imaginatively designed curriculum, delivered by highly qualified, dedicated staff. Through varied and exciting teaching, children grow in confidence as learners. Great regard is given to the individuality and uniqueness of each child.